Jon Gruden made his return to the Oakland Coliseum sidelines on Friday as the Raiders hosted the Detroit Lions for their first game of the preseason. While the starters didn’t get much playing time (if any at all), there’s still some positives that can be taken from the on-field performances of some of the younger guys looking to make the field. Third-year quarterback Connor Cook got a lot of playing time with franchise quarterback Derek Carr playing just one series. Cook took over the offense and completed 11/19 passes for 141 yards, a touchdown and no interception. The offense also had three first-half scores with him leading the offense. The young quarterback looked poised in the pocket, moving around to get himself more time to find the open receiver. He made a nice touch throw to Johnny Holton for a 41-yard pass to get the Raiders into the redzone. A couple of plays later, he moved to his left and found wide receiver Ryan Switzer for his lone touchdown pass. Cook’s play certainly has gotten better since he was forced into action against the Houston Texans in the Silver & Black’s first playoff game in 14 years. The Raiders made a flurry of moves to their special teams roster this offseason, and they continued into last week. Franchise points leader Sebastian Janikowski was released, and then just last week the team elected to let go of his replacement Giorgio Tavecchio and go with undrafted rookie Eddy Pineiro. Pineiro looked the part on Friday, connected on all three field goal tries: 21, 45, and 48 yards — with the two longer ones coming off the A’s infield dirt. It’s only preseason but Pineiro has had a good camp and didn’t look rattled under the Friday night lights at the Coliseum. 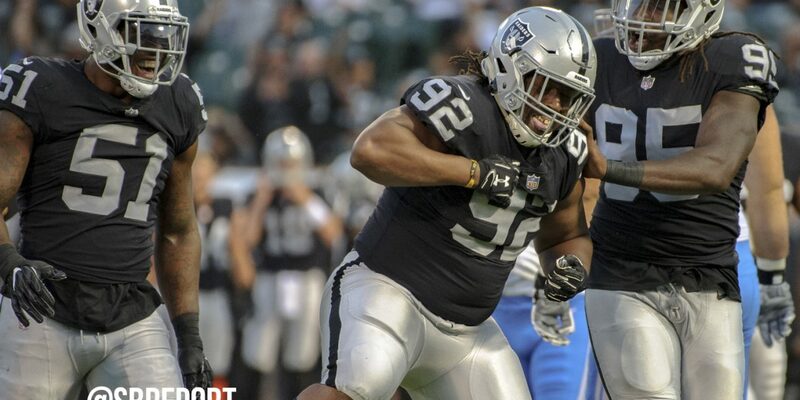 The Oakland Raiders drafted defensive tackle PJ Hall out of Sam Houston State looking to apply pressure on opposing quarterbacks from the inside and Hall did just that on his first drive as an NFL player. Hall beat his man with an inside move to sack quarterback Matt Cassell, his first of his NFL career, forcing a Lions three-and-out. An inside pass rush will greatly bolster the Raiders defensive line and help free up All-Pro Khalil Mack, if (more like when) he returns to the Silver & Black. Lions franchise quarterback Matthew Stafford didn’t play but the Raiders still went up against a veteran quarterback in Matt Cassell. The Raiders defense played well all night, limiting the Lions to just 226 total yards. Even more impressive was the pressure generated by Hall and the rest of the Raiders young interior line as they were able to record four sacks. 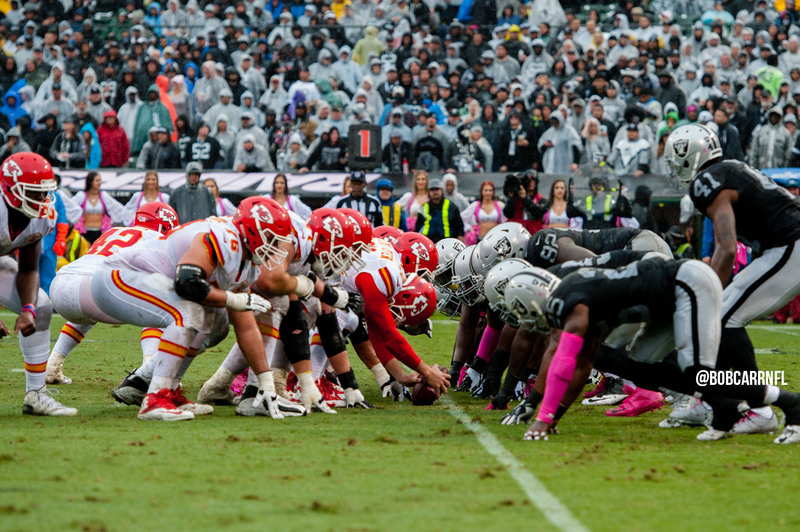 The Raiders defensive line was also able to close out the game when Gruden needed them most. The Lions had a chance to take a late lead down 16-to-10 with just over two minutes left, but James Cowser got into the backfield and stripped the ball from Cassell as Frostee Rucker fell on the ball to secure the win. Rookie running back Chris Warren drew media attention this week after displaying his power in Napa when he trucked over Lions linebacker Jarrad Davis during the two teams’ joint practices. Warren carried the workload on Friday night with Marshawn Lynch spending a majority of the time on the bench. Warren carried the ball 13 times for 86 yards (6.6 yards per carry). The young back showed off his complete arsenal, making some nice moves to find open space, while also punishing defenders between the tackles. 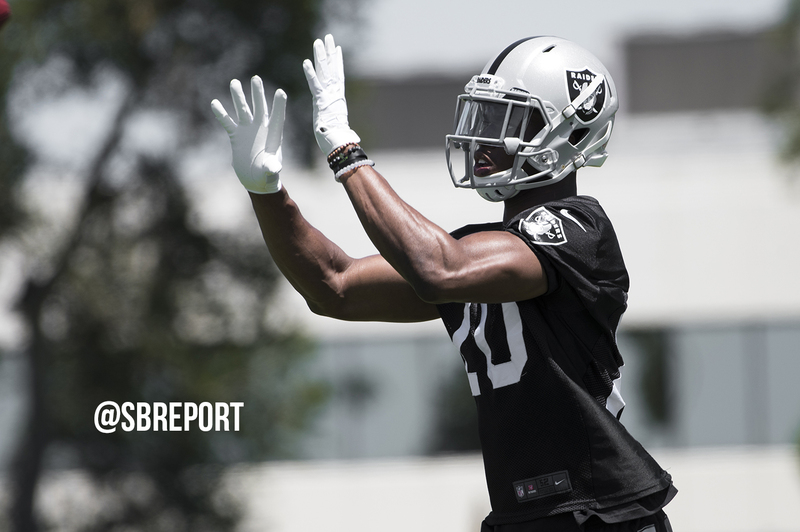 He is certainly someone to keep an eye on as the Raiders progress during the preseason and he looks to make the roster over DeAndre Washington, Doug Martin and Jalen Richard.